Change four nickels into four dimes! Make four nickels vanish! And more! 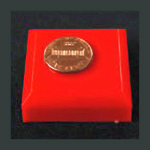 Peter Monticup created an EXTRA online video EXCLUSIVELY for our customers who purchase this Nickels To Dimes trick! So easy- but you'll fool them every time! 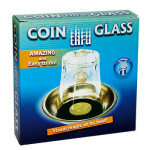 Here is one of the easiest, yet most amazing, coin tricks! And this is a limited edition Carl Brema- style brass set! 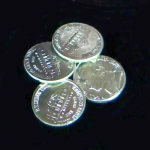 Carl Brema designed and manufactured the original Nickels To Dimes (invented by famous magician and author Walter Gibson). Brema's version has been faithfully replicated in this nicely weighted and machined set. 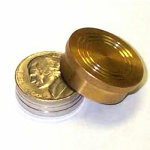 Designed for really smooth operation, this brass set will give you many years of performing pleasure. 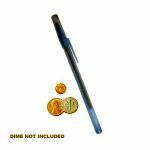 Comes with a cushioned hard storage case, PLUS a booklet of 25 tricks you can do with your Deluxe Nickels To Dimes! 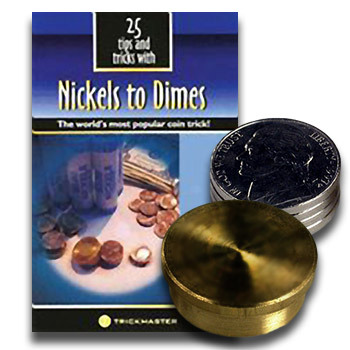 You can instantly change a stack of nickels into a stack of dimes! 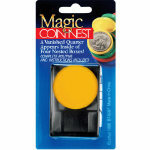 Or you can make the stack of nickels vanish completely! 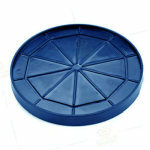 Or you can pass the nickels right through a solid table! The precision-made gimmick does all the work for you! 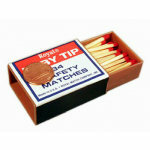 Many different effects are possible, and the instructions for a number of effects are included. And this one ALSO comes with a BONUS online video! Watch Peter Monticup as he teaches you EXACTLY how to set up and operate the Nickels To Dimes trick! He'll share his personal tips on how to work the trick smoothly every time, plus the things you need to watch out for. 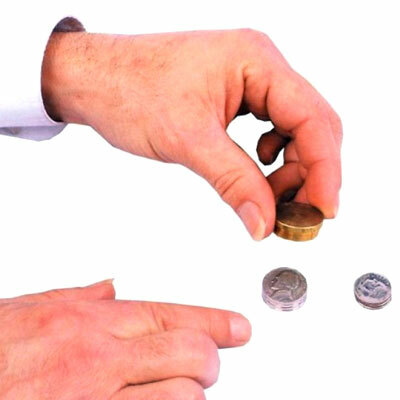 You supply one ordinary nickel and four ordinary dimes. WARNING: CHOKING HAZARD. Do not put the brass parts or coins in your mouth. Not suitable for children under 5 years of age. 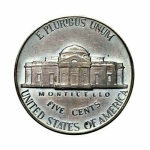 For the easiest handling, you may want to stick the ordinary nickel to the top of the metal stack. 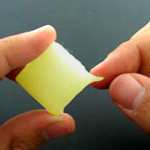 You can either use glue for a permanent bond, or you can use Magician's Wax, which can be purchased from MagicTricks.com. 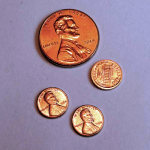 Change the four nickels into pennies, or into mini pennies, which you can buy from MagicTricks.com. 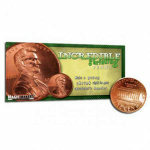 The change in color from silver coins to copper coins is really startling!